Thank you Impact Club for allowing The Healing Journey to be one of your quarterly nominations. We are grateful for all those who voted and support our mission. We couldn't have done this without you. All funds will go directly towards our programs, supplies and materials. Want to know more about the Impact Club? Want to join to become a member? Thank you Yuma County Board of Supervisors & Quechan Indian Tribe for Nominating The Healing Journey & Campesinos Sin Fronteras to receive the 5 % gaming donation funds. All funds will go directly towards our youth programs. We would like to personally thank RL Jones Insurance Services for your sponsorship by providing The Healing Journey a satellite office in San Luis, AZ. We are excited to expand our service to the families in the south county area. We would like to personally thank Home Depot for donating a refrigerator for our children and youth. Now we are able to provide cold refreshing drinks and snacks to all our members. CELEBRATE THE CHILD 2018 UPDATE! We would like to thank all our sponsors for Celebrate the Child Fair 2018, We couldn't do it without you! YCFB has just partnered with THJ and will be providing donated goods for our children and youth. THANK YOU! A community that works together, grows together. Thank you AEA Federal Credit Union Employees for fundraising and donating to our mission! These funds will be used to continue providing support for our survivors and support groups. Quechan Tribe & Paradise Casino has supported THJ families again this year. We were able to bless 26 families with food boxes and 120 children, youth and their siblings with toys. Thank you for all you do for our community! The Healing Journey would like to thank the staff at AEA Bank for coordinating a donation for the children and youth that attend our programs. With all their hard work, they were able to donate 75 Harkin's Movie Passes with candy and popcorn. Each child was able to receive a pass, as well as a pass for his or her siblings. Tis' the Season for Toys for Tots, Thank you all who donate to this wonderful Charity. As a non-profit we were able to receive some toys for tots this year. Our children, youth and families will be able to have a blessed Christmas. 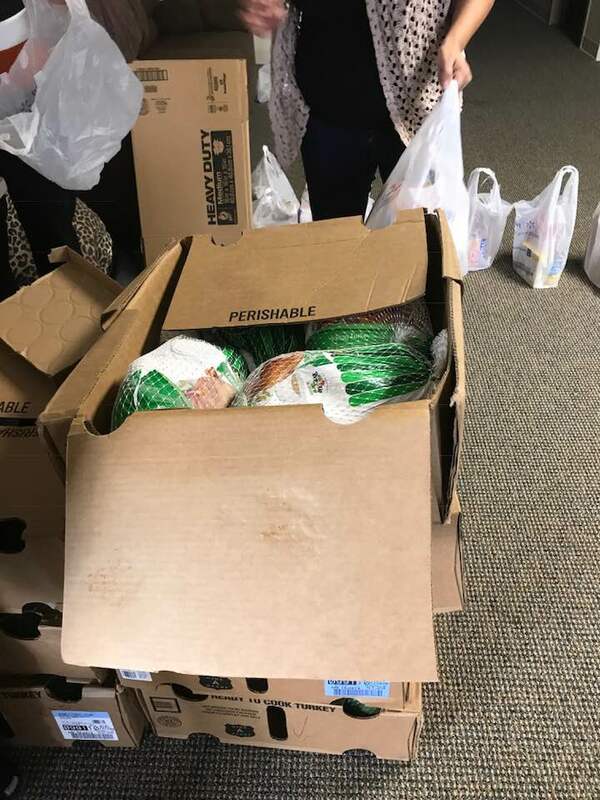 Thanks to Journey Church and their members Mr. & Mrs. Smith, we were able to bless 39 families with Turkey, Stuffing, Fresh Pumpkin Pies and all the fixings. We thank them for their generous donations! Church of the City gathered together this fall 2017 season to help raise gift cards for The Healing Journey programs. All funds are being used for our support groups to help with supplies and snacks for our Children and Youth. From your friends at The Healing Journey, we want to thank you!